Senior White House Adviser Jared Kushner listens during a Cabinet meeting on May 9, 2018. (CNN) - The Democratic National Committee tried and failed three times to serve Jared Kushner with a lawsuit at his Manhattan apartment and was turned away by a US Secret Service agent when it attempted to deliver the packet to the White House senior adviser's Washington, DC, home, according to court filings. After consulting with a superior, the Secret Service agent told the server "figure out another way to attempt service," the DNC alleged. The DNC next tried to deliver the lawsuit alleging Donald Trump's presidential campaign conspired with the Russian government to disrupt the 2016 election by certified mail, but the US Postal Service said no one at Kushner's home would sign for the package. 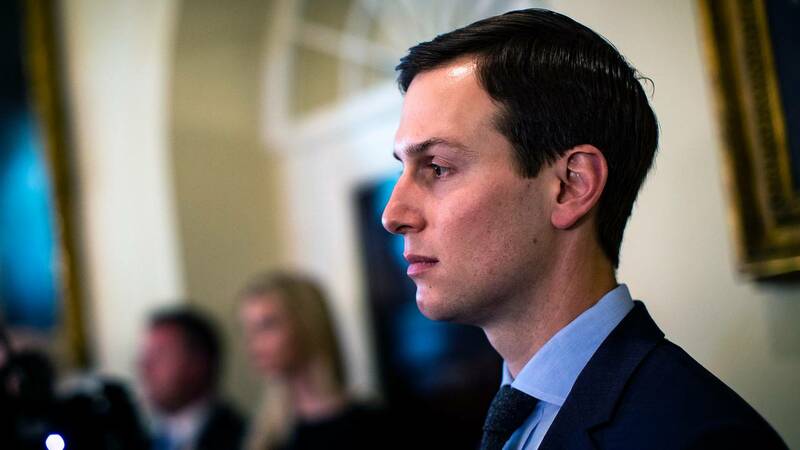 In a game of cat and mouse, the DNC has knocked on doors multiple times to try to alert Kushner, Trump's son-in-law and husband of fellow White House senior adviser Ivanka Trump, that he was named as a defendant in the lawsuit filed in April in New York federal court. The server "tried to serve the doorperson, security guard, or mail clerk at Kushner's New York residence, or alternative to affix a copy of the service packet to Kushner's door," the DNC told the judge in a court filing. "But the staff at Kushner's building did not accept service," it said. The DNC then asked the judge overseeing the case for permission to send the lawsuit via first class mail. "First-class mail does not require a signature, and will therefore remain at Kushner's home -- and not returned to sender -- if no one signs a delivery receipt," the DNC wrote. Judge John Koeltl denied the motion, finding the DNC "has not yet established the impracticability of other means of serving Kushner." The judge also posed one option: Kushner's attorney. "Service is not intended to be a game for the serving party or the party to be served. The court is confident that the DNC's counsel can contact Kushner's counsel and arrange a mutually convenient means to effectuate service," the judge wrote. The Secret Service declined to comment. One law enforcement source told CNN the agents deal with security considerations first and everything else comes second. They're "always going to deny it based on security. There are other ways," this person said. Peter Mirijanian, spokesman for Abbe Lowell, Kushner's attorney, said, "Given that the plaintiffs' counsel know where Mr. Kushner lives and works, (a place on every map in Washington), it is ridiculous for them to state that they did not know how to serve him with this purely political propaganda complaint. We have now informed them how easy it is to do that and will respond to the lack of merits of the suit as the Court schedules such responses." A lawyer for the DNC could not immediately be reached for comment.